Reading on the website about the recent blog on Development and how the African Child Trust (ACT) stepped up to bring pipe borne water to a small community in Western Kenya brought back memories and reminded me of the practical and effective way that ACT goes about its work of fighting poverty among the poor and disadvantaged in Africa. It reminded me of my three months internship experience with ACT a few years ago as a student studying for a Master’s degree at Roehampton University in the UK. I arrived at the ACT office with no idea what I was supposed to do. Coming from an academic background all I knew was teaching philosophy to students, then preparing and assessing them at exams. Based on my subject area it would not have been incorrect to accuse me of being idealistic. It was a new challenge and first real life experience of the office environment. The Director asked what I could offer to ACT and I simply responded “I don’t know, I have not worked in an office before”. But at ACT I learned a lot of things. There was closeness between the director and the staff. He was always available to help and was sensitive to the needs of the staff. I was encouraged by the trust he had that I was able to contribute to the work of the organisation. I was assigned different tasks designed to give me a rounded knowledge and experience of the organisation. I worked on ACT’s new handbook which had been started by another staff. I also worked on a spreadsheet that categorised sponsors according to their degree of engagement. I felt more at home working on the Handbook, it felt like putting together a book of all ACT activities and work with partners. I was impressed by the range of ACT activities, from child sponsorship, widows’ empowerment through training, community engagement and international volunteering. At first I was taken aback and wondered how the organisation could carry out all these projects in Africa. But ACT has established mutual relationships with partners in the communities where it is working. The broad aim is to alleviate poverty and bring development in African communities where there is most need. Based on its Christian values, ACT had managed to assist hundreds of students with tuition, fees and welfare support at the time. Some of the students had been admitted to universities and vocational institutions. A number of women, mostly widows were trained in business skills so they could sustain their families. ACT was also working with a number of community schools to bring quality education to the pupils. Take for instance the ICT project in Tanga, Tanzania. ACT set up ICT facilities in seven secondary schools, donated nearly 200 computers and sent out 45 UK professionals as volunteers to install the computers and train 140 teachers in the use of ICT and basic computer skills. The benefits of the project is still being realised in Tanga to date. As an academician teaching Human Rights, I consider that the work ACT is doing is putting human rights into practice. Their work is over and above the armchair rhetoric that takes place in academic institutions or the loud noise from campaign groups who do the talking but offer no help to bear the burdens of the poor. If you consider education to be an important human right, then the ACT child sponsorship of needy children is facilitating the participation of ordinary folks in development, through donating to this cause. Education is a human right which helps people to participate in all other rights. Widow economic empowerment and sustainability are all so important considering that in many African societies, husbands are traditional breadwinners and their death pose major problems for their families. 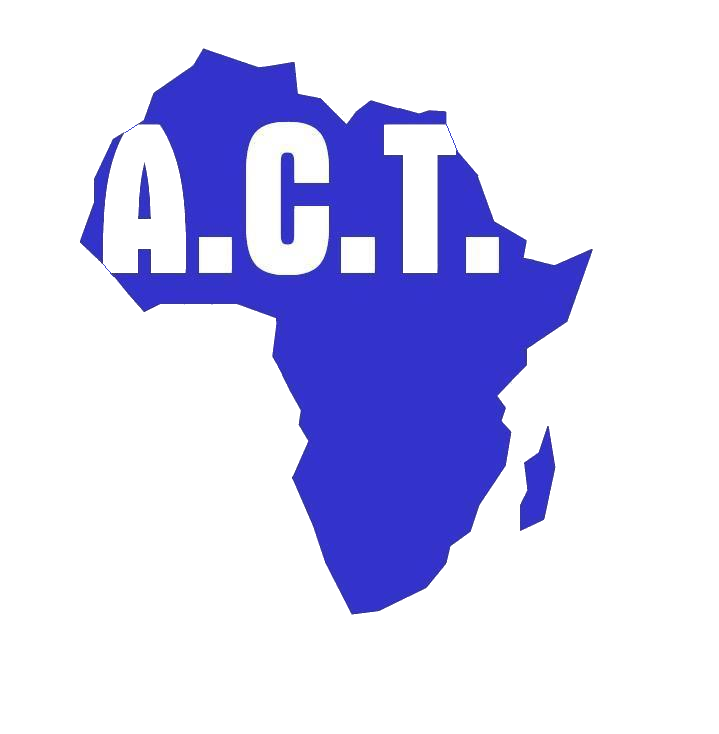 People who join the ACT international volunteering effort (ACTIVE) contribute significantly to development in Africa through sharing their know how with local partners and their practical hands-on contribution to projects. This to me is real development helping to bring change in poor communities in Africa. I was privileged to have worked with ACT. I learnt, although only for a short period, how charities work in fostering development. At ACT I learned that an organisation can be “real and alive”, rather than a bureaucracy. Best of all I saw how it is possible to engage staff and encourage free participation in discussion and decision making. It was an eye-opener, an experience and memory I still cherish five years on.